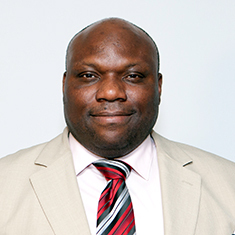 Bobby Jefferson, a leader in the field of information and communications technology for development (ICT4D), is working to expand DAI’s range of digital health services. Bobby has led a staff of health IT project managers, software engineers, and programmers to support countrywide health information systems for emerging markets. He has developed and deployed large-scale management information systems for use in international clinical trials and associated clinical data management. Bobby most recently served as Vice President and Director of the Center for Development Informatics at Palladium (formerly Futures Group), where he built a practice focused on ICT for global health programs and adjacent sectors such as agriculture, supply chains, and education. Before joining Futures Group in 2006, he led a group at CTIS, Inc., that developed and implemented systems for managing large-scale clinical trials and associated data management. Prior to that, at SETA, Inc., he provided IT support to the U.S. Agency for International Development (USAID) in Russia, Georgia, and other eastern European countries. Bobby is a member of the Drug Information Association and the Global Health Council, and serves on the board of the Prostate Cancer Network. He sits on various industry panels in the mobile health and digital development spaces, and serves as a competition judge and mentor with tech innovation hubs at Yale University, Duke University, and elsewhere. Rob Ryan-Silva is an international development professional with nearly 25 years of experience using systems approaches to achieve development results. Rob joined DAI in 2002.